Engineering for the academic year 2017. This Masters Programme course has been designed incorporating Advanced Computing Techniques and Tools to suit the people seeking TEACHING/RESEARCH CAREER in Computational Engineering competing with world class curricula. 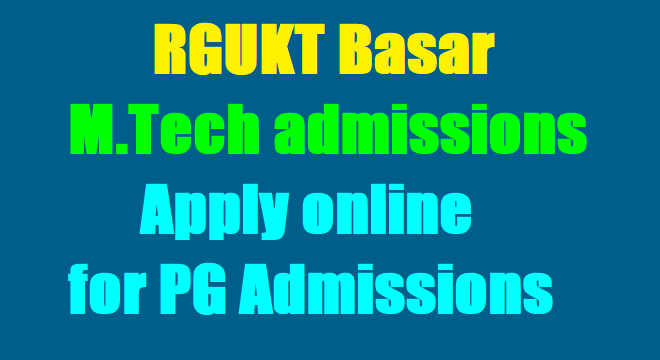 Eligibility: Qualified in GATE (2017/ 2016) or PGECET 2017. B.Tech/ B.E with a core branch such as (Computer Science & Engineering/ Electronics & Communication Engineering). 1. GATE (2017, 2016) or PGECET-2017 in order of merit followed by an Interview. 3. PGECET (2016) marks and 20% marks from the interview score. 4. First priority will be given to GATE (2016/2017) qualified candidates. If the seats are left vacant, those seats will be filled with PGECET qualified candidates. Prospective National Students having qualified in GATE from States other than Telangana can also apply. Admissions of these candidates is subject to rules of Govt. of Telangana as in force treating them as Non-Local candidates under supernumerary. i. The admissions to 85% of the total available seats shall be reserved for the “Local Candidates (Osmania University area, TS) and the remaining 15% of the seats shall be un-reserved (these seats will be filled with students from Telangana and Andhra Pradesh based on merit) as specified in the Presidential Order 371 Article D in consonance to Section 95 of the A.P. Reorganisation Act, 2016.
ii. Rule of reservations as per Gov of Telangana is applicable. 2. Intake of students: 48 in two disciplines as per the AICTE approvals. Note: No application of hard copies will not be accepted beyond last date. RGUKT is not responsible for delayed deliveries by postal/courier services.